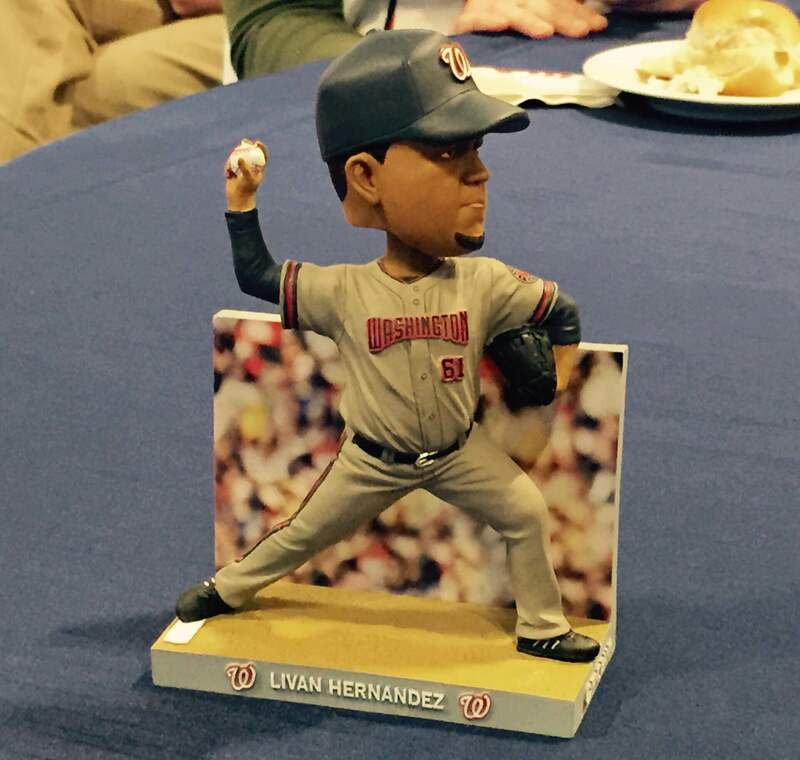 Washington Nationals | Let Teddy Win! 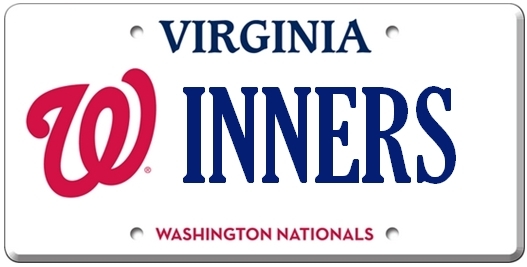 With the availability of new “Curly W” Nationals license plates in the state of Virginia, look for clever Nats fans to quickly take advantage of the team’s Curly W logo to create previously unavailable vanity messages beginning with the letter W.
The “good” ones, depending on your point of view, should go quickly, but as of this afternoon, a great many wordplay opportunities were still shown as available on the Virginia DMV website. 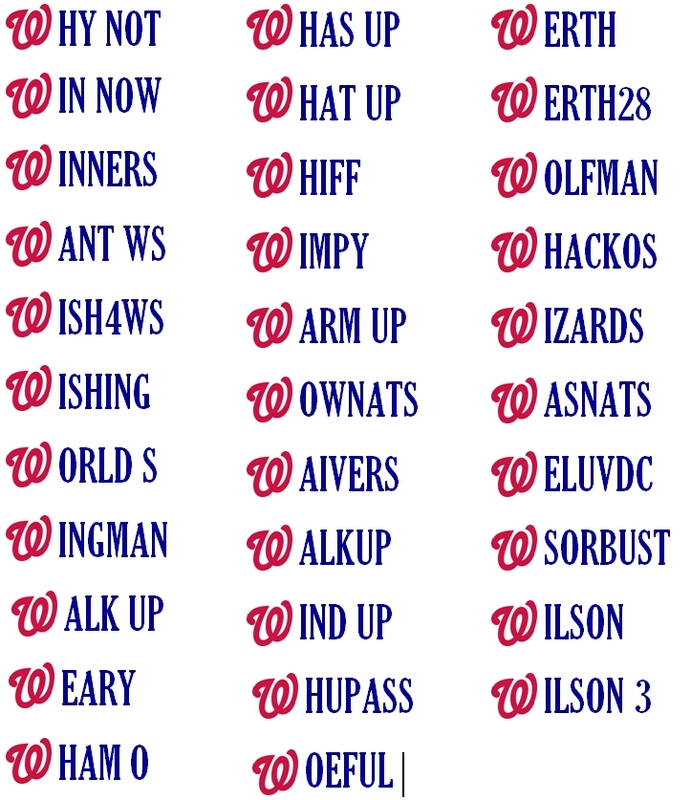 Long-suffering Nationals fans might go for (W)INNERS, (W)IN NOW, or simply (W)ORLD S.
Fans of particular players might go for (W)ERTH or (W)ILSON, and pessimists might opt for (W)OEFUL, (W)IMPY, or (W)HIFF. Are you a conflicted NBA fan still waiting for your own vanity plate? (W)IZARDS is up for grabs. And if you’d just like to skirt the Old Dominion’s restrictions against inappropriate language, it’s not too late to grab (W)HUPASS. 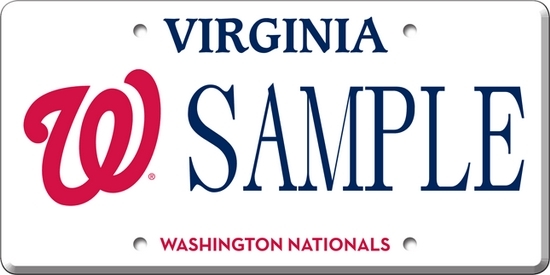 Virginia drivers will finally have the option of a Washington Nationals vanity license plate, provided that at least 450 people sign up for prepaid applications. 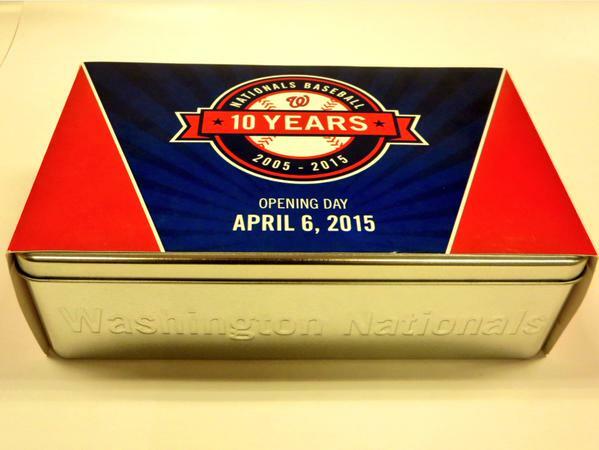 The cost of a Washington Nationals license plate will be $25 and a portion of the payments will support the Washington Nationals Dream Foundation. 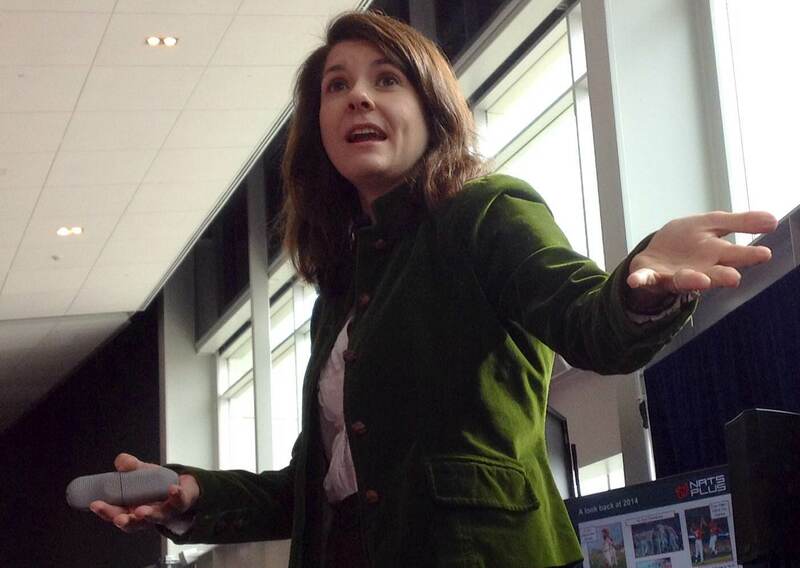 Virginia drivers have long had the option of Redskins logo license plates, as well as plates supporting most local universities, but a Nationals option is about eight years overdue. Drivers can apply for a Nationals license plate by mail form, or by taking the form to a Virginia DMV office.